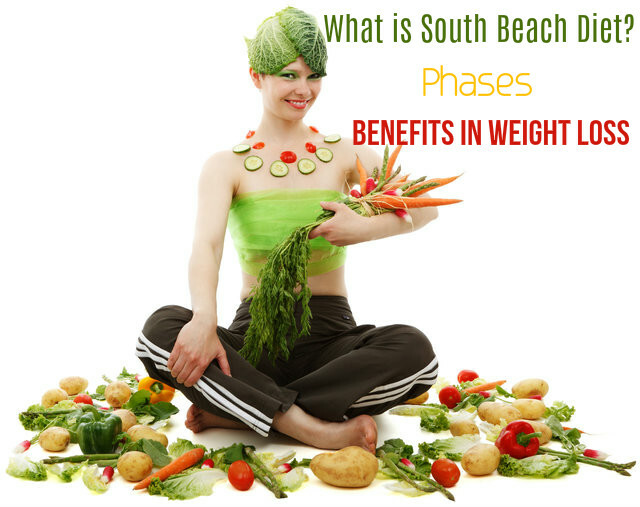 South Beach diet got its name from the glamorous area in Miami. This diet is also known as modified low-carbohydrate diet. By following this diet, you are encouraged to take in less of carbohydrates and more of proteins and healthy fats. This diet was designed by Arthur Agatston, a cardiologist, and Marie Almon, a dietitian. This diet is another version of the Atkins diet, but it is healthier. By following this diet plan, you will be able to lose weight fast. South beach diet restricts the consumption of carbohydrates. This diet encourages a person to consume healthy foods and avoid unhealthy foods. The aim of this diet is to help a person lose weight effectively and at the same time, maintain a healthy life style. You can enjoy the delicious foods you love to have when you follow this diet plan. So, no need to sacrifice the food you love to lose weight. If you are thinking of changing your eating habits, but you are not sure whether the next diet would be suitable for you, South beach diet is the best option. If you wanted to follow a diet plan that is healthy but at the same time liberal, then South beach diet is a good choice. If you are looking for a diet plan that helps in restricting the intake of excess carbohydrates and fats, so that you can lose some pounds, then you can choose South beach diet. South beach diet encourages you do exercise as a part of this diet plan. Regular exercises, as you know, keep your body fit and healthy. By performing exercises, you can increase the metabolism of your body and also maintain your body weight within normal range. Phase one meal plan: this is the first phase of this diet plan. During this phase, you have to focus more on cutting down the cravings for food, which means that you have to keep a control over your appetite. In the first two weeks of this phase, you have to cut down the intake of almost all types of carbohydrates. Make sure that the food you consume contain lean proteins in high amounts and low amounts of carbohydrates. Have low fat dairy products and vegetables with high amounts of fiber in them. You may also have foods with high amounts of unsaturated fats. You can take in foods like avocados, soy products, sea foods, nuts and seeds, which are healthy for the body. This phase includes snacks and desserts as well. Phase 1 lasts for about 2 weeks. You have to take three balanced meals per day as well as snacks. To make this phase successful for you, you have to eat snacks even if you are not hungry. This is emphasized because if you are more satisfied, you will not be too hungry and there are chances that you will have less food during the next meal. Some of the foods you must avoid in this phase are rice, bread, pasta, candy, ice cream, baked goods, potatoes, fruits, cake, cookies, sugar and alcoholic drinks. Phase two meal plan: This is a long phase and it is in this phase that you work to lose weight. During this phase, you are allowed to add some of the restricted foods from the first phase but take care that you add them gradually. Stick to the diet plan until you have succeeded in reaching your goal and manage to lose the targeted weight. You can consume foods like fruits, whole-wheat pasts and brown rice in this phase. Also add more vegetables in your diet. Add one carb at a time, with one daily meal, for a week. See if it is working well for you. Then you can add the second carb and wait for a week. This way you can have two or three servings of the right carbs every day. This phase can last as long as you have succeeded in achieving your goal. There is no time limit to this phase. If, after adding carbohydrates in to your diet, you feel that things are getting out of control, then you can get back to phase 1 for a few days, till you are in control. Then you can get back to phase 2. Phase three meal plan: Once you succeed in reaching the weight that you have desired, you will enter the phase three of this diet plan. This phase is also known as the maintenance phase. You have to stick to this phase for the rest of your life if you want to maintain the body weight you have achieved and to have a healthier lifestyle. During this phase you must feel that you are entering a new and healthy phase of lifestyle, rather than following a diet plan. Sometimes you may break the routine, but not make it too often. You can consume all the foods you want in this phase. By following this diet, chances are there that you will be able to maintain an ideal body weight for a long term. Your chances of developing diabetes will be lowered. The blood fat in your body will be kept within normal levels. You can keep your cholesterol within normal levels. You will be less at a risk of suffering from hypertension. You will enjoy better health.